Proposing soon? Clearly you’re thinking about it if you’ve stumbled upon this lovely post! 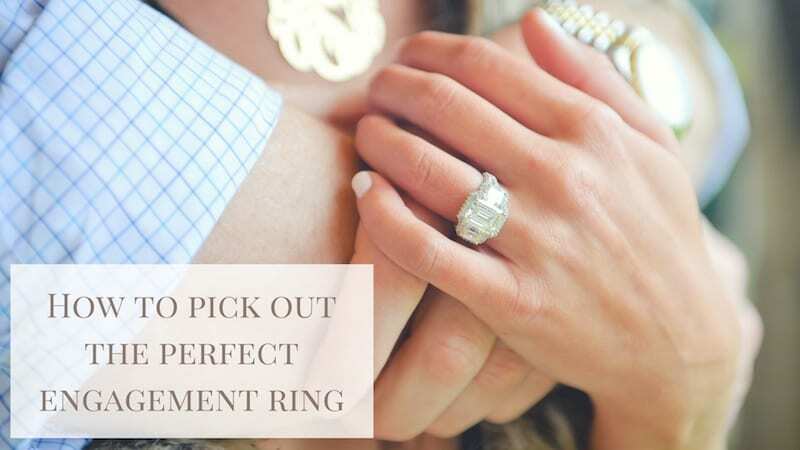 Engagement ring shopping can be a tricky thing so we have created a couple of tips and tricks to make it a little easier for y’all. Budget. This may seem obviously, but set a budget and then stick with it! The average engagement ring budget in 2017 was $5,000. That doesn’t necessarily mean that’s what you should spend, but that’s the national average. Something to also consider when setting a budget is how much you’ll be spending on the proposal! You wouldn’t present a steak on a paper plate, so don’t give her the engagement ring with a lousy proposal. If you start thinking about the proposal as soon as you start shopping for engagement rings, you’ll be able to get a better “bang for your buck” and plan our your expenses while the ring is being made! Do your homework. Learn about the 4 C’s, check out your girlfriend’s Pinterest boards, and do some online shopping before you just head straight into your local store! There are apps (like Beaumade) where you can virtually try on rings from tons of different designers and shops. With a tool like that you can try to sneak a picture of her hand and then visualize what the different rings will look like! Additionally, with online shopping you may be able to find a great deal on a loose gem and then take that stone into a local jeweler to have them set it in a beautiful band (this can be a huge budget saver)! Insure it. I’m sure you’ve heard this a thousand times, but getting your engagement ring insured as soon as possible is absolutely the best thing to do! What happens if someone breaks into your apartment and steals the ring before you get a chance to propose? Insurance will be something you do anyway before getting married, so you might as well do it as soon as you bring the ring home just for safe measure! Discrete Ring Box Traveling For a Proposal- Where to Hide the Ring Discreet Ring Boxes for Proposals Make it an Eco-Friendly Lab-Grown Diamond Engagement Ring this Valentine’s Day!